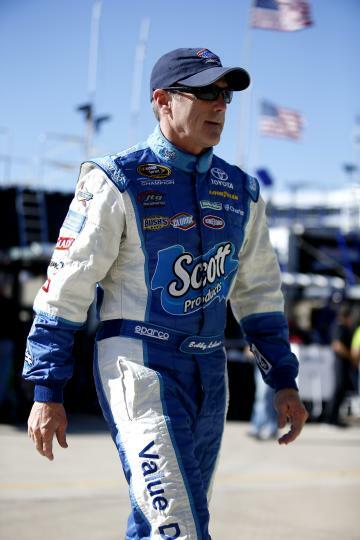 Bobby Labonte is driving for Joe Gibbs Racing in 2016. The team announced Wednesday that the 2000 Sprint Cup Series champion would drive for the team in the season-opening Xfinity race at Daytona International Speedway. Labonte will be behind the wheel of the No. 18, the number he drove from 1995-2005 with JGR. The car won't have the familiar Interstate Batteries sponsorship that Labonte had during that tenure, however. It'll be sponsored by NOS, an energy drink. The company is sponsoring JGR's No. 18 Xfinity car for 18 races. Kyle Busch is driving 16 of those races. Busch isn't partaking in any restrictor plate races in the Xfinity Series in 2016 after he was injured in the Daytona race in February of 2015. “I’m excited about the opportunity to drive for JGR again," Labonte said in a statement. "I didn’t think this would ever happen and when Joe called me about the program, it was a ‘no-brainer.’ Great race team, great cars, the opportunity is a good one. There would be nothing better than to hang a flag in this building too." Labonte has made 725 career Sprint Cup Series and has driven a part-time schedule over the past two seasons. He's set to drive in the Daytona 500 for the No. 32 car for Go FAS Racing. Labonte has won 21 times at NASCAR's top level though his last win came at Homestead in 2003. Since leaving JGR, Labonte drove for Richard Petty Motorsports for three seasons. is the editor of From The Marbles on Yahoo Sports. Have a tip? Email him at nickbromberg@yahoo.com or follow him on Twitter!